I DON’T care what armchair neutrals thought. And yes it would be nice to batter Hull and after so much possession we made harder work of a one sided 1-0 win than we should have done against a woeful team but, hey, Job done. Points banked. Here’s my colour bit on the whistle. Meanwhile, Gaston was in switched on mode, mercurial movement and creative touches… but there were a couple of cracking displays elsewhere in the team too. Here’s my always universally agreed with “what game were you watching you blind get” player ratings…. RIGHT. I got home late buzzing and had a beer to calm the nerves. My heart almost exploded when they put the ball in the net in stoppage time. I’ve never cheered an offside flag from the press box before. Great game: a galvanising watershed moment and possible penny drop tactical revelation. Anyway… I see you have started the debriefing without me. Carry on. Here’s my on the whistle colour bit about how Petr Cech was the man that ensured that mighty Arsenal were lucky to get nil on a day that could kick-start the season. Here’s the Gazette digest of the game, tactics, big moments and star players. THE referee was Roger East. 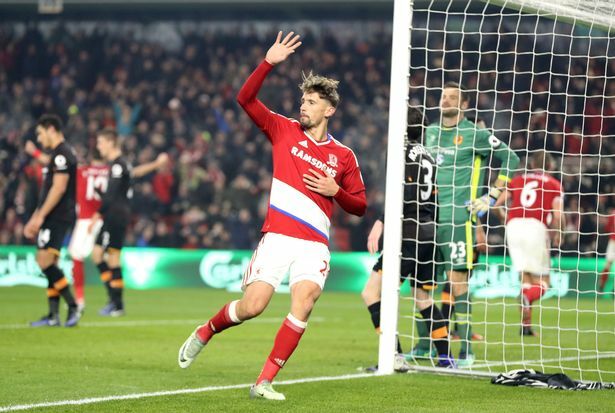 Boro’s high hopes against woeful Watford went west. Let’s just hope the season isn’t going South. Certainly there was a lack of direction at times. 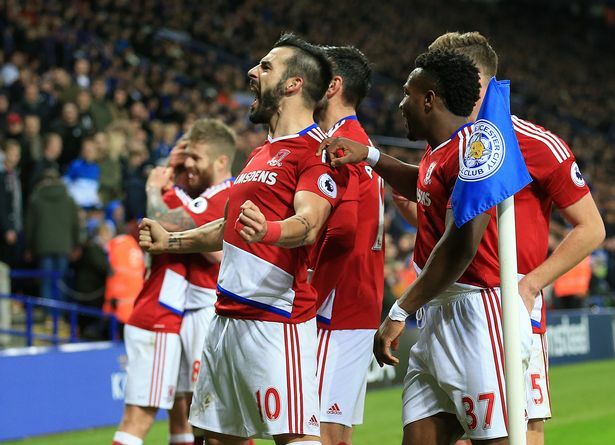 Boro got lost in a diversionary flurry of time-wasting, niggly fouls that broke up play and some top flight polished professionalism in the disappointing 1-0 defeat to a poor Watford side. Or ‘game management’ as we call it nowadays. 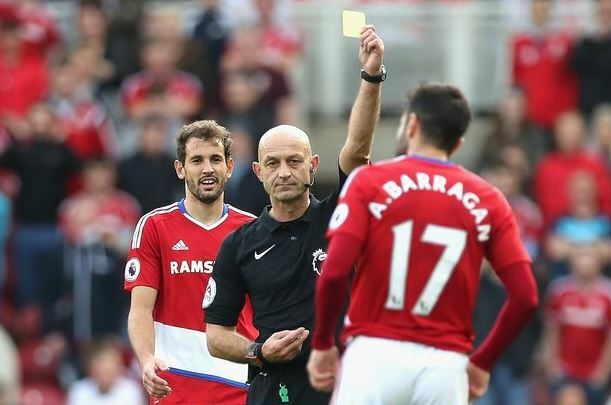 The referee took the brunt of the fans’ frustrations on a deeply disappointing day at the Riverside. “You are the worst. You are the worst. We’ve had some **** here but you are the worst!” It was a harsh assessment but it was a popular one. The inventive and damning chant started in the North Stand, was taken up passionately in the South and, once the language barrier was crossed, the Watford supporters joined in with gusto.